Nest Grapefruit 4 Wick Luxury Candle is a combination of pink pomelo grapefruit and hints of watery green blended with Lily of the Valley and coriander blossom. NEST Fragrances has given their most popular scents another perfect size: The Luxury 4 Wick Candle. 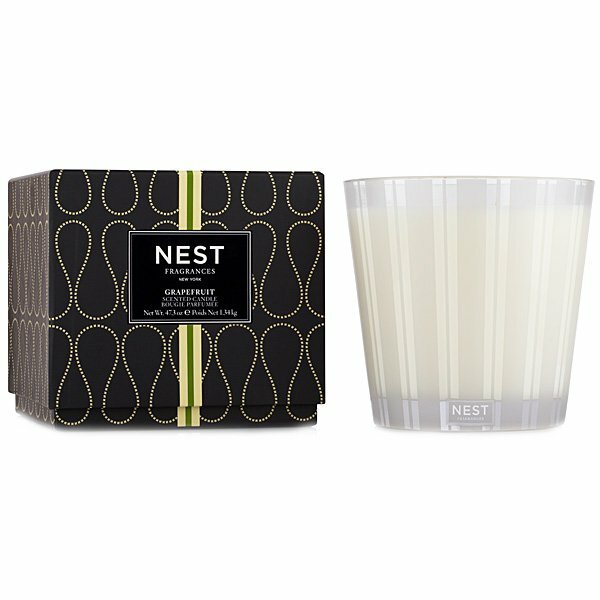 Poured into a 4-wicked, striped clear and frosted over-sized vessel, this luxury candle is perfect for larger spaces, more than double the size of Nest 3 Wick candles.